The Greek word for parable (paraboles) means to "cast alongside" or "put alongside." It is truth put alongside a previous truth to explain truth. Scripture interprets scripture. Jesus spoke in parables to fulfill Psalm 78:1-2, "I will open my mouth in parables, I will utter hidden things, things from of old.... Jesus spoke in parables to three groups of people: the multitudes; His own and the Jewish religious leaders (Pharisees, Sadducees and scribes). The multitudes had a surface hearing. Jesus's disciples saw that His words had a deeper meaning and even asked Jesus to explain the meaning to them. The religious spiritual leaders were spiritually blind and spiritually deaf. Jesus called them the "blind leaders of the blind." The prophets Ezekiel, Jeremiah and Isaiah spoke about those who were spiritually blind and spiritually deaf. (see Ezekiel 12:2; Jeremiah 5:21 and Isaiah 6:9-10) Their problem was a spirit and heart condition! Jesus used parables to teach those who had open hearts, eyes and ears, but He also used parables to expose the hearts and spirits of self-righteous leaders. Jesus had taught in Luke 6:27, "But I tell you who hear Me, 'Love your enemies, do good to those who hate you, bless those who curse you, pray for those who mistreat you." He also said in v39, "Can a blind man lead a blind man? Will they not both fall into a pit?" In Luke 10:25-37, Jesus will speak a parable about the Good Samaritan. Jesus will lay 2 Chronicles 28 along side of this parable to speak to the teacher of the Law who was asking a question to test Jesus. "Teacher, what must I do to inherit eternal life?" Luke 10:25 Jesus answered him with a question, "What is written in the Law? How do you read it?" The expert in the Law responded by quoting Leviticus 19:18 and Deuteronomy 6:5: "Love the Lord your God with all your heart and with all your soul and with all your strength and with all your mind, and love your neighbor as yourself." Jesus told the teacher of the Law that he had answered correctly. "Do this and you will live." Jesus uses an event in 2 Chronicles 28:5-15 to teach a parable about what a "neighbor" is in the sight of God. In 2 Chronicles 28, Judah had rebelled against God and offered sacrifices to false idols. 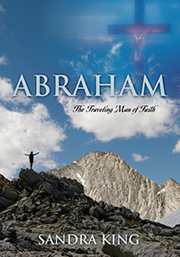 As a result, God handed king Ahaz and the people of Judah over to the king of Aram. King Ahaz was also given over to the King of Israel. Both the king of Aram and the king of Israel killed many of the Jewish people and also took hundreds of thousands captive as prisoners. Instead of setting their Jewish brothers and sisters free, the Israelites intended to make the men and women of Judah and Jerusalem their slaves. When the Israelite army returned to Samaria, a prophet of the Lord named Oded was there and went out to meet them. The prophet Oded said, "Because the Lord, the God of your fathers, was angry with Judah, He gave them into your hand. But you have slaughtered them in a rage that reaches to heaven. And now you intend to make the men and women of Judah and Jerusalem your slaves. But aren't you also guilty of sins against the Lord your God? Now listen to me! Send back your fellow countrymen you have taken as prisoners, for the Lord's fierce anger rests on you." vv9-11 Then God sent four more witnesses who confirmed His word through Oded. Their boldness in speaking the Word of God instigated a turn around (reversal) in the heart attitude of the people of Israel. The Word of the Lord spoken through the prophet turned the Israelites around. They had a heart change toward their brothers. These two -- Judah and Israel--had been warring against one another, but in obedience to the Word of the Lord, the victors -- the Israelites -- set the captives free who were their brothers even though they were sinners. Not only did they set them free and give back the plunder of the war, they had compassion on these Jewish brothers and sisters. In other words, they loved their enemies. The Judeans were guilty of sin against God but so were the Israelites! "All have sinned and fallen short of the glory of God." Their enemies were their own brothers and sisters who were sinners too! However, the loving-kindness of the Israelites will mend their division and warring against each other. Jesus also doesn't call us to condemn and imprison, but to have compassion on them and set those in prison to sin free through the power of His blood, His Word and His Holy Spirit. Jesus works through His own. We are the only hearts, hands and feet that Jesus has on earth to work through! The Israelites had stripped these Judeans naked, but after being convicted by the prophet of God, they covered the nakedness of their brothers and sisters with clothing, fed their hunger and thirst and anointed them with healing balm to heal their wounds. Nakedness represents sin. In other words, they covered their sin with a new garment. Then they took them back to their fellow countrymen at Jericho riding on a donkey. Donkeys were used in the coronation of kings. (see King Solomon riding upon the donkey of his father David as he was traveling to Jerusalem to be crowned king. 1 Kings 1:38-39) Jesus too rode into Jerusalem on a donkey. The crowd took palm branches and come out to meet Jesus, shouting "Blessed is He who comes int he Name of the Lord! Blessed is the King of Israel." (John 12:13) By putting the Judeans in 2 Chronicles on a donkey, they honored these captives and carried them back to their land and restored them to their people. Those who were once enemies warring with each other now become one again through loving-kindness and are restored. These teachers of the Law should have recognized what Jesus is saying because they knew the Older Testament scriptures even memorizing them so they were familiar with 2 Chronicles 28. Jesus will lay this event in Chronicles next to His parable on the Good Samaritan to answer the question this expert in the Law asked, "Who is my neighbor?" Just prior to Jesus telling this parable, the Samaritans had opposed Jesus's followers who were on their way to Jerusalem. (see Luke 9:51) Now Jesus is teaching a parable about the very ones who had opposed His mission. "A man was going down from Jerusalem to Jericho, when he fell into the hands of robbers. They stripped him of his clothes, beat him and went away, leaving him half-dead." Luke 10:29 This is similar to the scripture in Chronicles. The Israelites had stripped the Judeans of their garments also and killed some. Note that this "man" that Jesus is speaking of was "going down." In other words, he was leaving the holy city of Jerusalem (God's place of worship) and going down to Jericho, a city near the Dead Sea. In the parable, Jesus said that a priest happened to be going down the same road, and when he saw the man, he passed him by on the other side. So too, a Levite, when he came to the place and saw him, passed by. But a Samaritan as he traveled, came where the man was; and when he saw him, he had compassion for him. This Samaritan whom the Jews considered their enemy, had compassion for this naked, hurting, half-dead man lying in his own blood. The Samaritan bandaged the man's wounds, pouring on oil and wine. Oil represents anointing and wine the blood of Jesus that gives us eternal life. Then this good Samaritan put the man on his own donkey, took him to an inn and took care of him. v34 The good Samaritan put this man on his own donkey and carried him to a place of rest and peace where he could be cared for. Jesus wants His house to be a house where people who are lost and hurting can be lifted up from the dust of the earth to the high places with Jesus and nurtured and cared for. After telling this parable, Jesus let the expert in the Law figure out for himself who was the neighbor. "Which of these three do you think was a neighbor to the man who fell into the hands of robbers? v36 The teacher of the Law said, "The one who had mercy on him." Jesus told him, "Go and do likewise." The robber is Satan who wants to steal, kill and destroy the lost and hurting. Instead of destroying or ignoring a lost, half-dead sinner who has been stripped of everything, Jesus wants His followers to lift him/her up and lead them to Jesus who will pay the price for their sins, provide rest for him/her and heal his or her wounds. In Chapter 9 of Luke when the Samaritans were opposing Jesus and His followers, James and John wanted to call fire down from heaven to destroy them, BUT Jesus turned and rebuked them. 9:55 Jesus came to save not destroy. The destroyer is the devil! Jesus sent the fire of the Holy Spirit to save and draw people to Him and destroy the works of the flesh, but the person will not be consumed by the fire! Jesus will even save us from ourselves! Jesus is always stretching us spiritually. Jesus wants His own to know His ways and walk therein so others will be drawn to Him through His Light shining forth through us. Jesus wants His Divine glory within us to shine forth from us, just as He illustrated in Himself on the Mount of Transfiguration. (see Matthew 17) Jesus' Divine glory within was veiled by His flesh as His glory within us is veiled by our flesh. Jesus wants to remove our fleshly ways so His glory will shine brighter in and through us to others.